As the seed industry evolves and our world grows, we remain passionate about providing trusted seed solutions that minimize risk and help farmers get the most out of every acre. Our research team consists of experts in hybrid breeding and genetics focused on developing products with desired traits, such as resistance to pests, drought and diseases and providing customers with the greatest yield and profit potential possible. 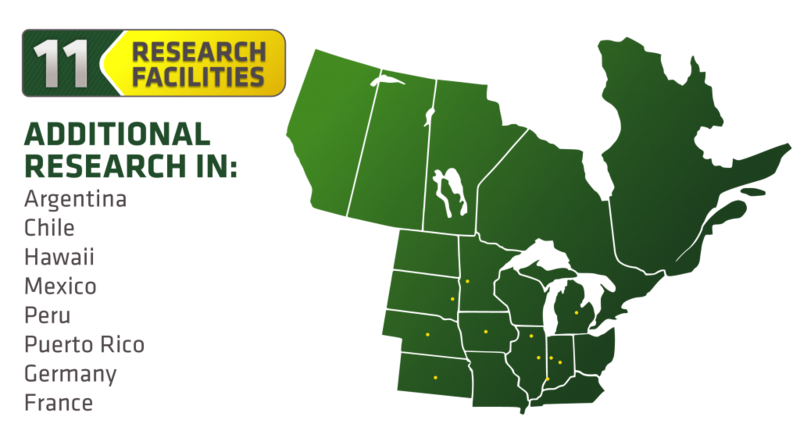 Our research program is among the best in North America because of our unique access to the best traits and germplasm through our globally-positioned European parent companies, KWS and Limagrain. Our local, regional and global research and testing network ensures we are continuously bringing the highest impact, productive and proprietary corn, soybean, alfalfa and sorghum solutions to market for our customers. We don’t simply breed for higher yield, we breed for environmental adaptability and optimal plant health. 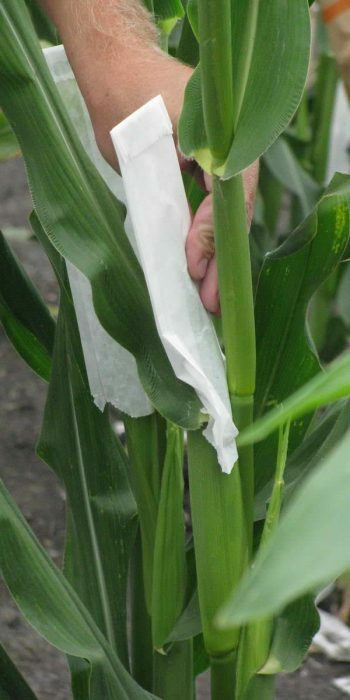 Then we provide a personalized agronomic road map precisely tuned to that particular hybrid’s genetic characteristics. We take an aggressive approach to developing the best hybrids that minimize risk and help farmers get the most out of every acre. Leading researchers have pursued doubled haploid breeding for decades, but AgReliant Genetics was among the first to make it a cost-effective reality. The advantages for our customers? Development of new inbred lines in half the time of traditional breeding, meaning quicker release of new traits and pure, uniform genetics. AgReliant Genetics conducts research on thousands of new products each year in over 480 pre-commercial research plots spanning more than 200 unique locations across the Midwest and in Canada, coupled with precision planting in the spring, and accurate data collection in the fall to build a significant database of product knowledge that can be translated into product production. Our pre-commercial research system reduces variables, increases accuracy and gives us an even more authentic pulse on short- and long-term market needs to continue developing industry-leading hybrids. Our research team places a strong emphasis on advanced analytical tools, including molecular marker technology, to increase the speed and efficiency of bringing new products to market. 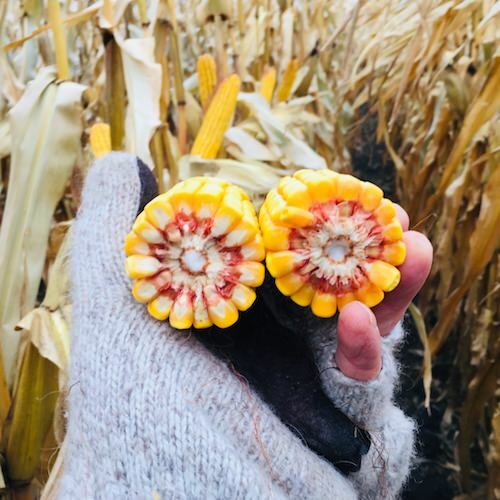 All of this combined gives us the knowledge to provide a complete understanding of our products’ genetic and trait performance in addition to how each hybrid performs locally to address particular challenges and meet each customer’s exact needs. AgReliant Genetics is always looking for individuals who are passionate about helping farmers grow. We offer many rewarding research career paths, including training and advancement options. Visit our Careers page to learn more about working at AgReliant Genetics and to see our current list of opportunities.